Vein Treatment Mentor : Treat Your Veins and Enjoy Summer! Summer is upon us, and with summer comes a variety of fantastic activities. If you suffer from varicose veins, not treating them means that you may not be able to enjoy summer to its fullest. With this in mind, in this blog post, we’ll look at a few great summer activities that you can truly enjoy once you’ve treated your veins at our Mentor vein treatment clinic. The Center For Advanced Vein Care is proud to provide residents in Mentor with the best in varicose vein treatment. Contact us today to set up your next appointment! One of the best parts of this summer holiday has to be all the time that we get to spend with our friends and family, especially on the Fourth of July. The Fourth of July is a time to be spent outdoors at cookouts, in backyards with friends, and of course, watching fireworks once the sun goes down. With it being such a busy holiday, those of you who suffer from leg pain caused by varicose veins may find your legs feeling tired and sore. From the increased amount of walking that you may have to do from the changes in locales, the generally busy nature of the holiday may have you feeling the pain of varicose veins more than usual. By treating your varicose veins, spider veins and other causes of leg pain, you’ll be able to ensure that you’ll be able to truly enjoy the Fourth of July without the disruption and discomfort caused by your bothersome varicose veins. While the holidays sometimes prompt us to stay at home and enjoy the company of our friends and family, summer is also a time for traveling to new locales. There’s nothing quite like experiencing the food, shopping and weather of other parts of the country (or world), and doing so for even a week can give us a boost and feeling of renewal that we sometimes need. What can very easily make our vacation a less-than-ideal scenario, though, are painful varicose veins. Are you traveling by plane to your destination? From taking shuttles to going through security to the wait times and possible flight cancellations, there’s a variety of different scenarios with airport travel that can certainly aggravate your varicose veins. Are you traveling by car? Having to sit in a car for a considerable amount of time can be equally as painful and un-enjoyable if you suffer from varicose veins. Treating your veins this summer can help you finally receive the relief that you deserve, ensuring that future vacations will be nothing but enjoyment, free of the distraction and frustration that varicose veins can bring. For some of us, the best part of summer is the time that we get to spend in our gardens. We spend our entire winters longing for the summer days when we can tend to our lawns, flowers and other decor in our gardens. Of course, much like the increased activity that we encounter while traveling or spending time with friends in town, gardening is an active pursuit that requires a lot of walking, lifting, kneeling and other sorts of physical movements. If you’re attempting to do these things while suffering from the discomfort of varicose veins, this can prove to turn your favorite hobby into a painful task. Treating your varicose veins this summer will ensure that you’ll still be able to enjoy time in your garden this summer, as well as next summer. Our suggestion? Get your veins treated. There’s still time for you to take advantage of our treatments while being able to enjoy everything that summer has to offer. The sooner that you treat your veins, the sooner you’ll be able to get your life back and be as active as you truly want to be. Get in touch with us today to come up with an action plan that best suits your needs. 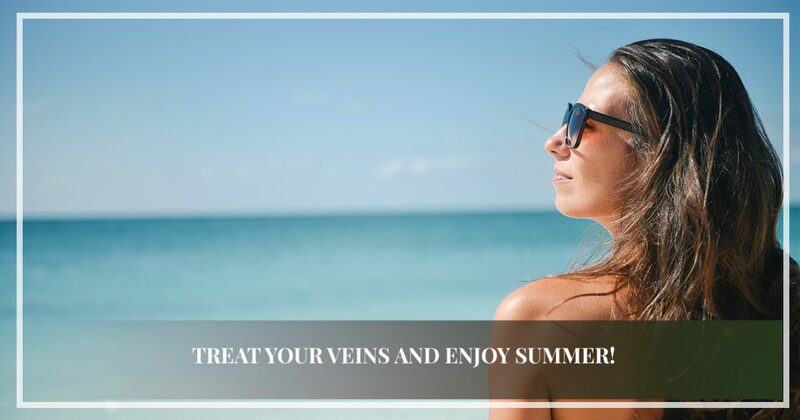 Treating your veins this summer will still allow you plenty of time to recover from the procedure with enough time to embrace the beautiful weather and countless events that come with summer in Mentor. We’d love to help you enjoy summer to the fullest by providing you with the quality varicose vein treatment that you deserve. To learn more about our Mentor vein treatment center, or to set up your next appointment, contact The Center for Advanced Vein Care today.